Once you have completed choosing your tickets, click on the shopping cart at the top of the page to proceed to the checkout. Tickets at the door are $25 for adults. Born in Mabou, Cape Breton, Mairi Rankin is a fiddler and step dancer who has been influenced by some of the best Cape Breton traditional musicians and instructors on the island. She has developed her own unique style by being immersed in this rich musical culture. Mairi has been fortunate to tour nationally and internationally as a performer and educator in both fiddle and step dance. 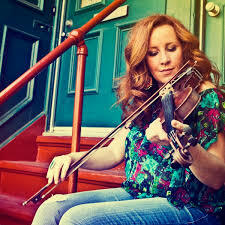 She has performed as a solo artist, a side musician, and as a member of the Cape Breton Celtic super group Beòlach and the Scottish/Irish/Canadian band The Outside Track. Mairi has recorded one solo album, two each with Beòlach and The Outside Track and has been featured on numerous compilations and recordings. Ailie Robertson from Edinburgh is widely regarded as one of Scotland’s leading young traditional musicians. 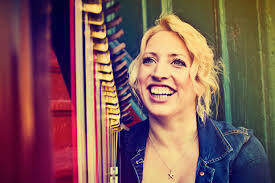 A five-time National Mod Gold Medalist and a BBC Radio Scotland Young Traditional Musician of the Year finalist, Ailie also won first prize at the inaugural London Harp Competition, was judged best overall musician at the Edinburgh Competition Festival, and won the St Albans New Roots award. Her debut solo album ‘First things first’ won the ‘Live Ireland’ award for ‘Best Instrumental Cut of the Year’. She has performed and taught all over the world, released 3 solo CDs and published 7 volumes of harp sheet music. Ailie Robertson is also a multi-award winning composer, performer and creative curator whose work crosses the boundaries of traditional and contemporary music. Winner of The Sofia International Composition Competition, the SCO iCompose Prize, and 2nd in the Oslo Grieg Competition, Ailie has received commissions, awards and residences from Creative Scotland, Enterprise Music Scotland, the CCA, Culture Ireland, Celtic Connections,EIFF, and CALQ Montreal. She was chosen for the 2016/17 RSNO Composer’s hub, awarded a BBC Performing Arts Fellowship and was winner of the ‘Achievement in New Music’ prize at the inaugural New Music Scotland Awards. You can check out a recent video of Mairi and Ailie playing together on their Rankin Robertson Facebook page.